In this final post in our series of Customer Success war stories, we have a sterling example of success. 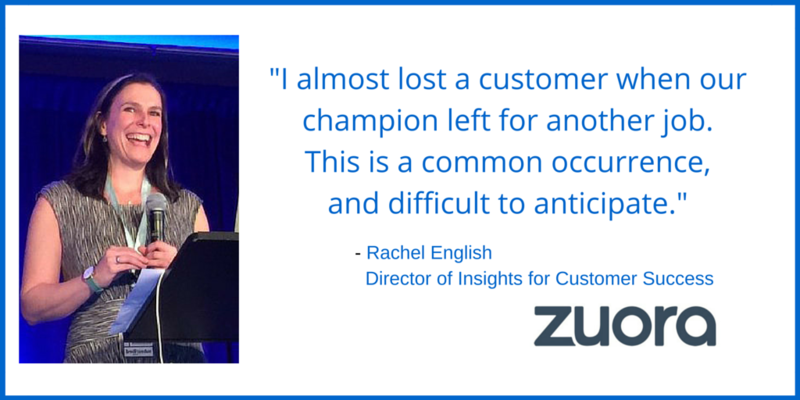 Rachel English, Zuora’s Director of Insights for Customer Success, doesn’t have a fail story. Why? Because she takes planning ahead out of the realm of science and straight into art. You could pretty much cut and paste her response to my question “Tell me about a time you lost a customer” into a textbook of How to Do Customer Success Right. Rachel did some online detective work via LinkedIn to confirm that their former champion had, indeed, left the company – and she found the new contact who appeared to be the champion’s replacement. She then set a “churn risk” flag on the account in Zuora’s CRM and recorded all of her research notes there as well. Finally, after gathering all of her research, she reached out by phone to a few contacts within the account, including the executive buyer (the most active remaining user), and the new person in the former champion’s role. 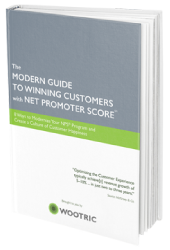 By the time she got off the phone, she says she was confident that they were on a good path to retaining the customer (and she lowered the risk flag on the account). Visibility into and automation based on ALL of the data you have on your customers (who they are, what they’ve bought, their usage patterns, and the results they’re achieving) is critical. 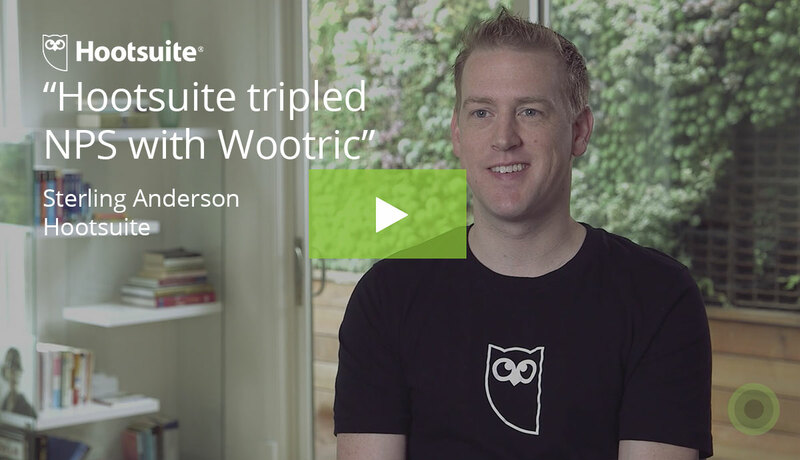 Without that, you’re truly flying blind in your retention efforts. 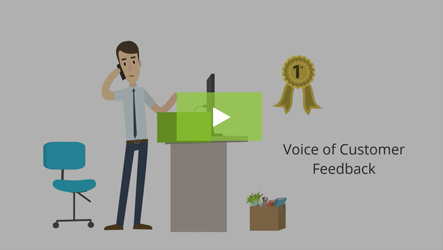 Being able to clearly voice and even visually demonstrate for your customer the value they are achieving through use of your solution is incredibly powerful. 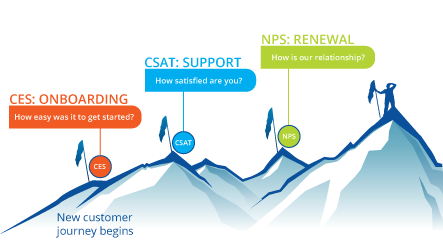 Understanding that return on investment makes it much more difficult for a customer to walk away, even in light of internal staffing changes or shifts in priorities. It pays to plan ahead and create playbooks that define any and all steps to undertake when a signal of risk is received or an opportunity alert is triggered. It takes time and careful thought to do this well, but it allows you to take action quickly, in the heat of the moment, to document what was done and whether it worked, to establish consistency across your team and activities, and to iterate over time to improve processes. You don’t have to be perfect right away. 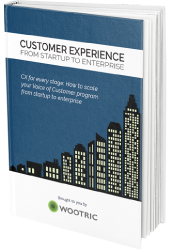 All you have to do to build a customer-success-oriented company that retains, grows, and makes your competitors green with envy is to commit yourself to improve.